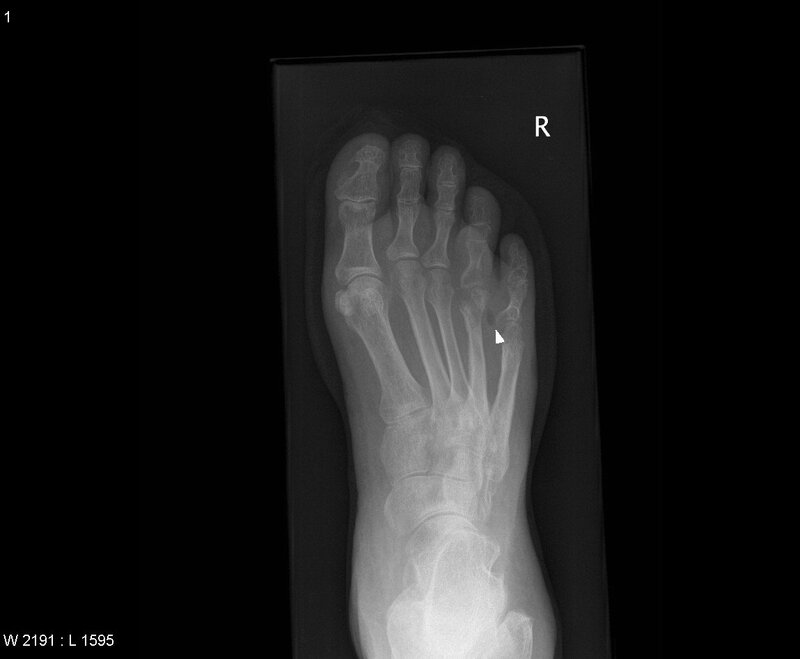 Image 1a and 1b (Plain Radiography): DP and lateral views of a foot showing cortical erosion of the 4th metatarsal head in keeping with osteomyelitis (arrow). There is a small gas locule in the soft tissue between the 4th and 5th metatarsal heads which could indicate a gas forming organism causing an abscess (arrowhead). 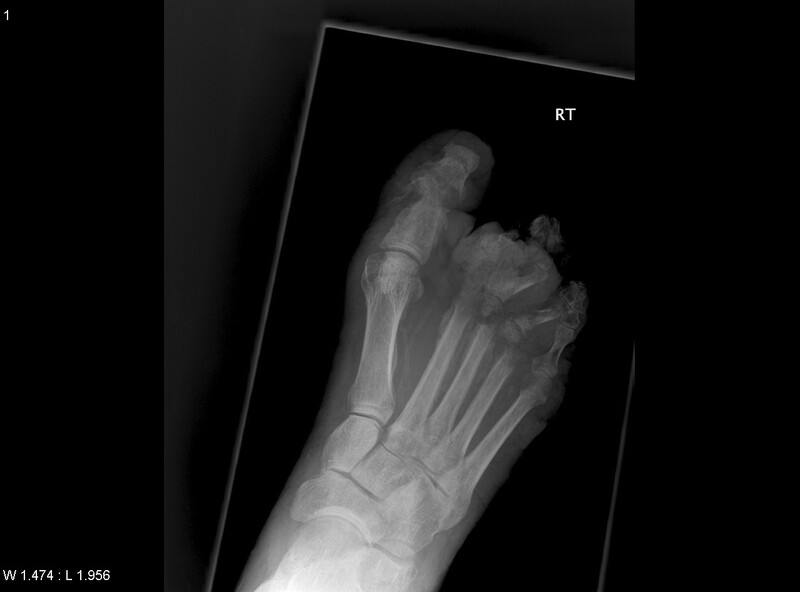 Image 2 (Plain Radiography): Extensive destructive changes consistent with a pyogenic infection which involves the IP joint of the great toe, all phalanges of the 2nd toe and 2nd MTP joint, all phalanges of the 3rd toe and 3rd MTP joint, proximal phalanx of the 4th toe and 4th MTP joint. 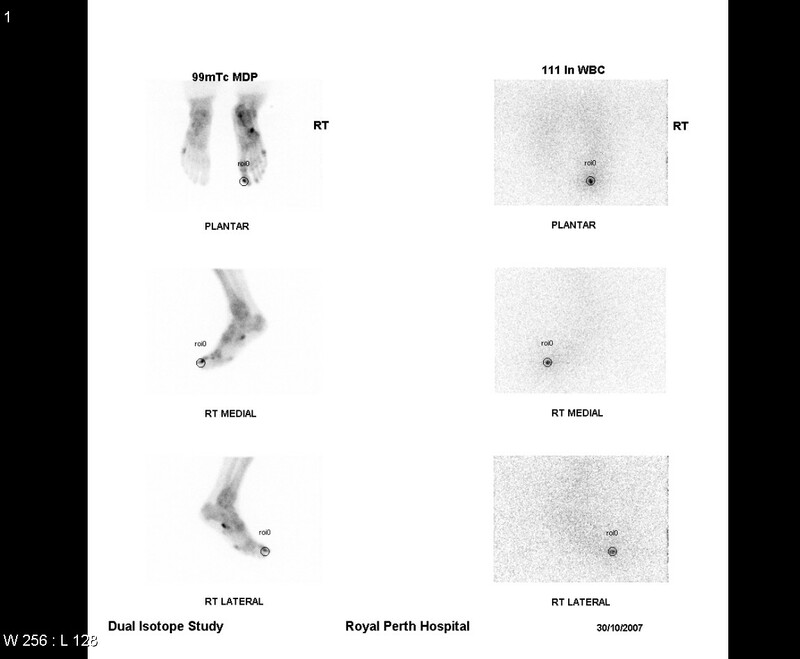 Image 3 (Radionuclide Scan): Dual bone/white cell study (Tc-99 MBP/In-111 WBC). Delayed bone scan demonstrates intense focal uptake in the medial aspect of the proximal part of the distal phalanx of the right 1st toe. White cell study demonstrates intense focal uptake corresponding to the medial aspect of the proximal part of the distal phalanx of the right 1st toe. This scintigraphic appearance is consistent with osteomyelitis. There is also focal intense uptake on bone scan in the inferior aspect of the calcaneo-cuboidal junction, which is not demonstrated on white cell study. This may represent neuroarthropathy or tendonitis. 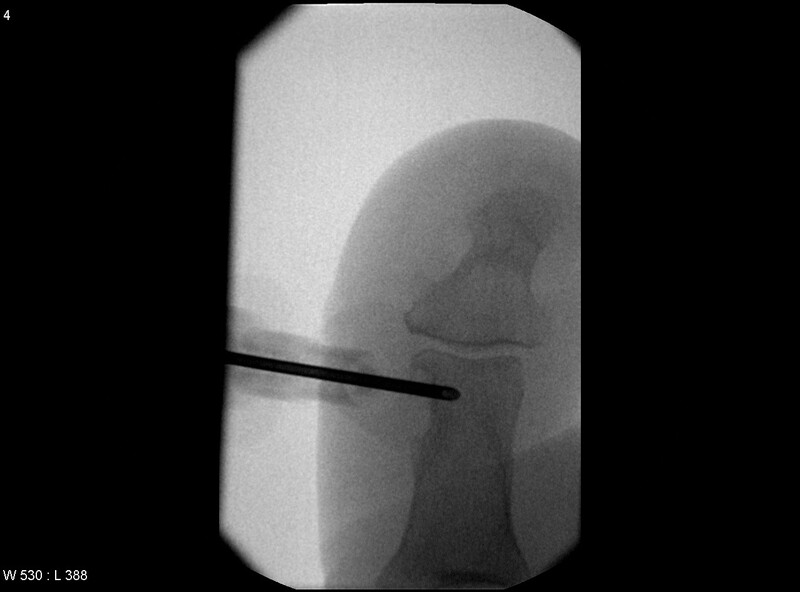 Image 4 (Bone Biopsy): Needle biopsy under fluoroscopic guidance of a bony erosion involving the proximal phalanx of the right great toe. Patient had a preceding dual bone/white cell study which showed a scintigraphic appearance consistent with partially treated osteomyelitis.